Update for 29 March 2013 - there are lines of piles already in the ground and another line in above the ground. I'll let the photos speak for themselves - hope to have some more next week. 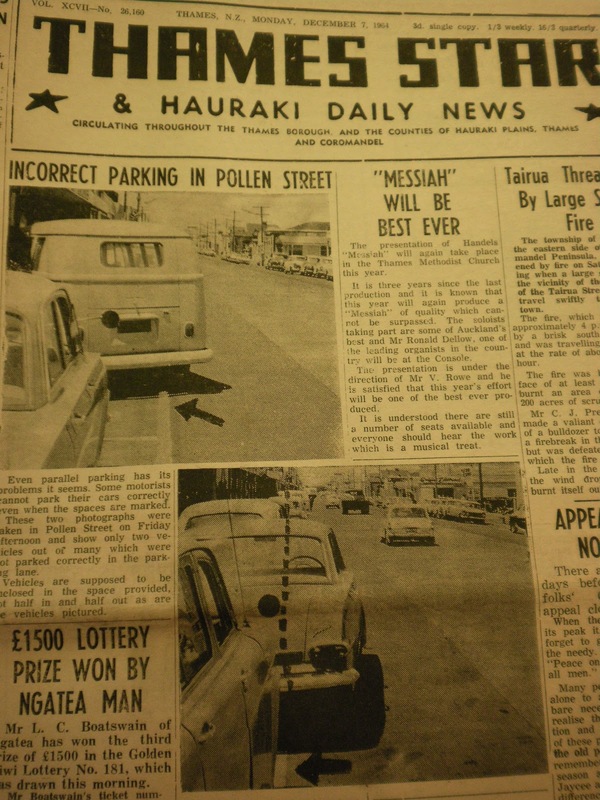 Can you remember when there was parallel parking on both sides of Pollen Street? Many people were grateful the day the eastern side was changed to angle parking...maybe people today have just become better at parking....It didn't seem such an issue in those slower, quieter days. The reporter noted: "Vehicles are supposed to be enclosed in the space provided, not half in and half out as are the vehicles pictured." Ten years ealier the angle parking we know today was coping well with traffic demands. Another major step has been taken today, with the driving of the piles for the new archive building at Queen Street, Thames. 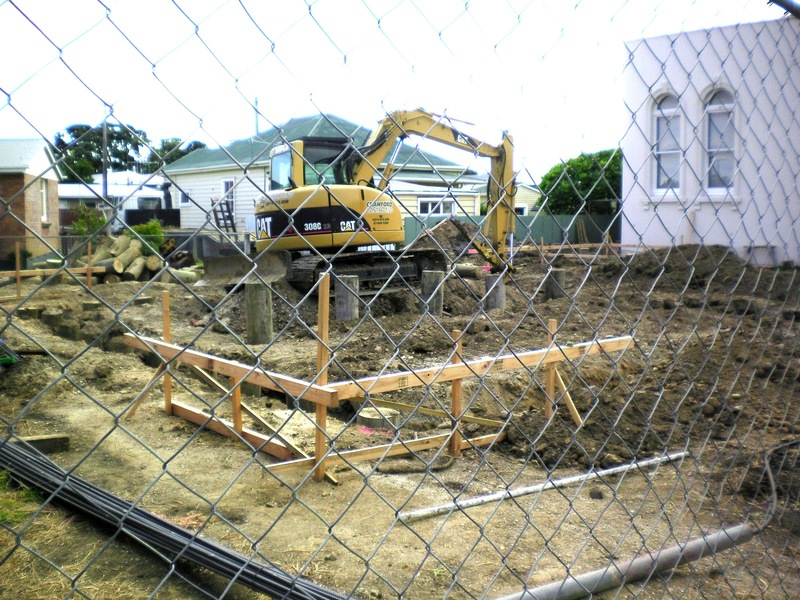 The Coromandel Heritage Trust members and supporters will be delighted to see the building now full steam ahead!!! It has been a dream for some time, now the following weeks will quickly see the construction and completion of the building that meets all the latest archive requirements. A vote of thanks to all who have been involved with this vision - to the stage today where it is becoming a reality! For those of you who didn't manage to hear the presentation at The Treasury today on the New Zealand Tunnelling Company - you missed a very informative presentation. Why is this of interest to THAMES? Many of the men that joined this company were experienced miners, many having come from Thames, or their fathers/other relatives had been on the goldfields from the time they opened. Many of us have generations of miners in the family, some of these men then went to war and were involved with tunnelling projects in World War One. 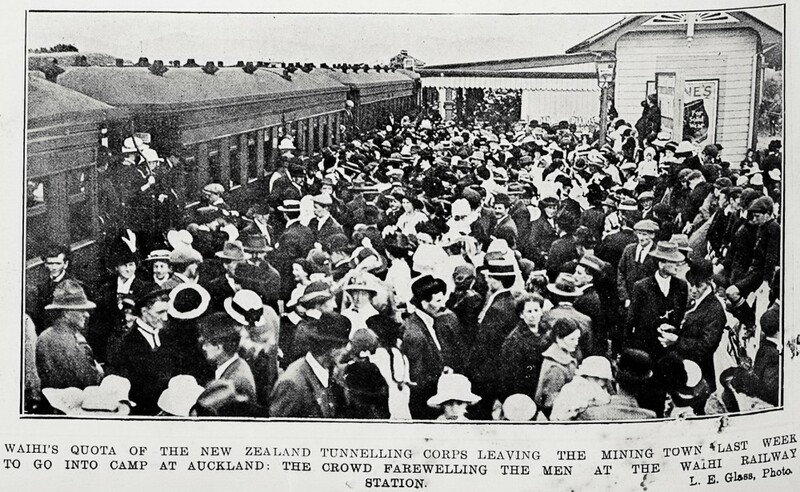 For more information go to the dedicated New Zealand Tunnelling Company website. 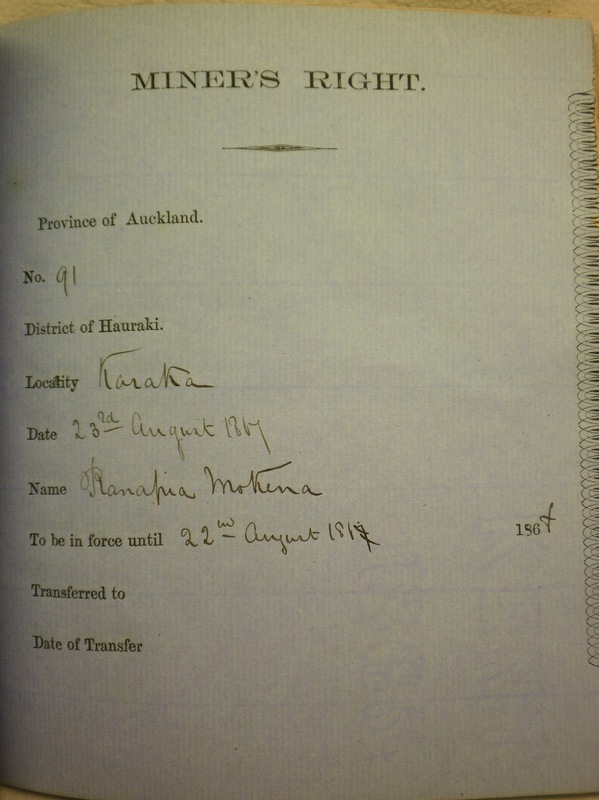 Waihi men in particular played a major part in this company and a memorial is planned to remember their efforts. If you have any family information on men from Thames that were in this company, please can you make contact - as I try and find out more about these Thamesites. A list of the names of men found with a connection to the wider Thames area can be found here. 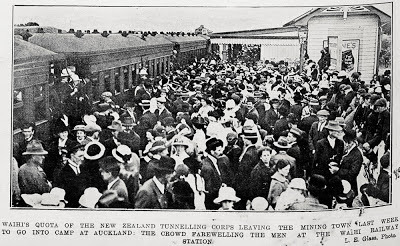 WAIHI'S QUOTA OF THE NEW ZEALAND TUNNELLING CORPS LEAVING THE MINING TOWN LAST WEEK TO GO INTO CAMP AT AUCKLAND: THE CROWD FAREWELLING THE MEN AT THE WAIHI RAILWAY STATION. 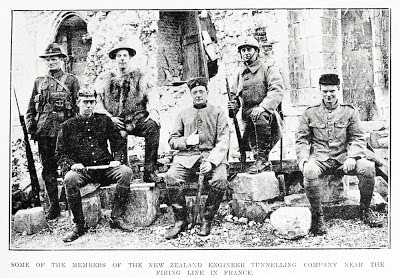 SOME OF THE MEMBERS OF THE NEW ZEALAND ENGINEER TUNNELLING COMPANY NEAR THE FIRING LINE IN FRANCE. contact the webmaster at the website mentioned above. If you live locally, maybe you have already managed to attend some of the events scheduled for the first week of the Heritage Festival. Have you dropped into the Thames Library yet? and taken a photo of your Thames house - so it can be added to the digital collection. There are two lectures left at The Treasury, in their series: The Way We Were Lectures. 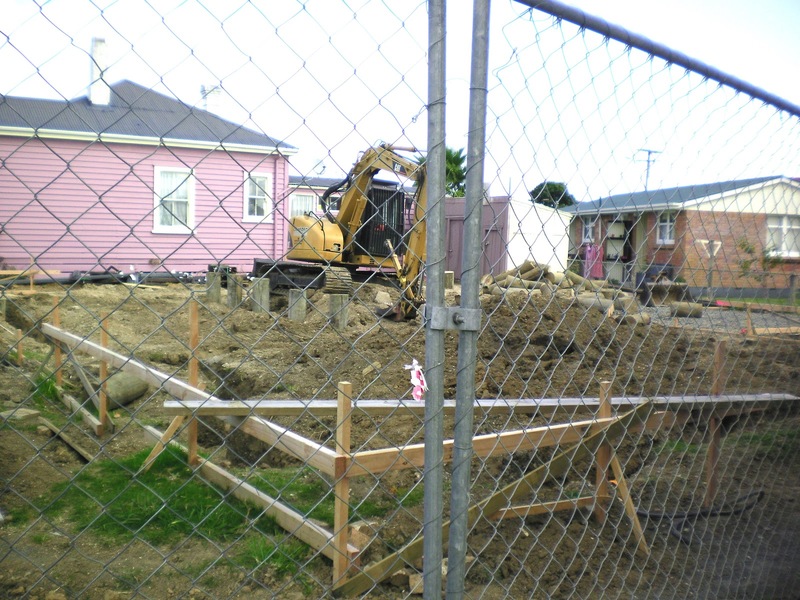 Tomorrow, Friday 15th March 2013 is Sue Baker-Wilson speaking on the NZ Tunnellers in World War One and Monday 18th March is Dr Caroline Phillips on the archaeology of the Shortland area. 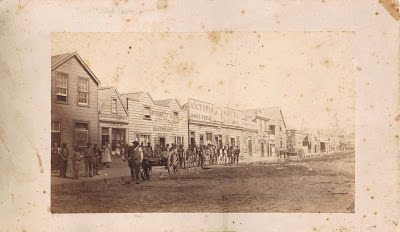 If you want a walk, then Graham Robinson has a tour of Shortland on 17th and 19th March. The Heritage Festival is underway - Shortland Cemetery has been mowed and cleared. The paths are very dry, thanks to the long hot summer. So if you were ever waiting for the chance to visit and search for ancestors - now would be the time. If you want to view just how large this cemetery really is - use the TCDC intramaps website. the page will refresh and you will see the whole Shortland cemetery map..you can zoom in or use the hand symbol to drag the map around. You can also use the bottom tabs to search and get information on burials. 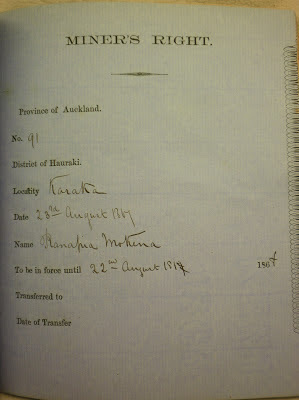 There is a wealth of information on mining at the Auckland Archives, that stretches up to the 1970s.